Calling All Male Military Spouses! Large, national organizations are starting to take notice of male military spouses. The National Military Family Association recognized Macho Spouse and male military spouses in their latest eNewsletter. This is more proof that people find our stories interesting, helpful and worthy of acknowledgment. Pretty cool being mentioned by a prestigious organization such as this. MachoSpouse.com, an online resource and informational hub for male military spouses. Macho Spouse is a positive, pro-active project designed to help guys deal with current military life issues&nbsp; through the use of video, online networking and communication. 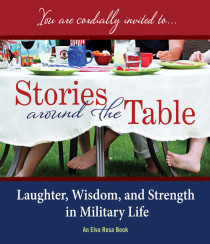 The videos contain interviews from current and former male military spouses, military family and relationship counselors, military spouse career and entrepreneur experts; as well as a variety of other individuals who have an in-depth knowledge of what it takes to be a happy, successful, strong, supportive person in military family life. Here is a great opportunity to voice your concerns...or not. These surveys are very important for future generations of military families! A great way to show your appreciation for military families is to adopt a military family this holiday season. What? Adopt a military family? Yes! Reda Hicks, the Armed Forces Insurance Army Spouse of the Year, explains how operationwearehere.com can help you show your appreciation. Macho Spouse is an educational video series and online resource for male military spouses. The Macho Spouse mission is to help male military spouses connect with one another and assure that we are not alone in this military family lifestyle. Like many military spouses and families, you may want to know how sequestration will impact your military family in detail, but can't seem to get anything more than, "It's a bad idea." You continue to hear about the billions of dollars to be cut from the DoD budget and how that will negatively impact the readiness of our armed forces in general. Yet, what remains unclear to you is the direct impact sequestration will have on your military family. 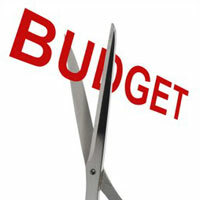 Will sequestration impact the CDC and child care? If so, how? Are you on the move? Summer is a time of transition and change for the military child. For many service members and their families, summer is the time when permanent changes of duty station (PCS) occur. While there is often excitement about moving to a new location, there is also a tremendous amount of stress. This can be especially true for the children of military families who often both suffer the sadness of leaving their old friends, school, jobs and community behind and deal with the anxiety of establishing themselves when arriving at their new home.